Poppy chin – also referred to as dimply chin – is an extremely common condition that affects millions of people across the UK. Typically occurring due to the body’s natural ageing process, some people are more likely to develop a poppy chin than others due to both the shape of their facial features and the way they open and close their mouths. The resulting wrinkles or ‘pin cushion’ appearance can have a detrimental effect on the confidence and life quality of those affected. Nevertheless, the overwhelming majority of cases of poppy chin can be corrected quickly and easily, with absolutely no invasive surgery required. Botox injections offer a safe, accessible and effective solution for many cases of poppy chin. Here at HSA Dermal Clinic, we offer an extensive range of non-surgical treatments and solutions for common skin conditions like poppy chin. Whatever your requirements and available budget, contact a member of the HSA Dermal Clinic team today to book an obligation-free consultation. Discover the latest advances in poppy chin treatment in London, provided by the experts at HSA Dermal Clinic. Poppy chin (or dimply chin) is an extremely common condition that affects men and women of all ages, resulting in unevenness across comparatively large areas of the chin. As poppy chin is interpreted as a characteristic sign of ageing, it can have a detrimental effect on the self-confidence of those concerned. Recent years have brought about enormous advancements in the availability and effectiveness of poppy chin treatment in London, with absolutely no invasive surgery required. 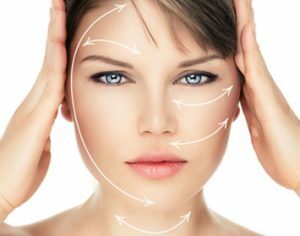 We specialise in comprehensively non-surgical alternatives to traditional cosmetic surgery, using Botox, dermal fillers and other sophisticated techniques to deliver unbeatable results. Our experience and expertise in all aspects of poppy chin treatment in London have earned us an unrivalled reputation among cosmetic dermatologists. Contact a member of the HSA Dermal Clinic team today to book your consultation.